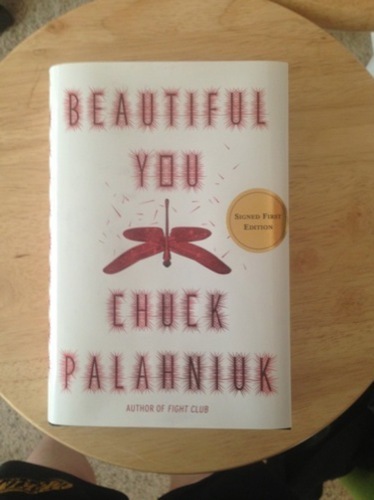 Most people know Chuck Palahniuk because of Fight Club, the novel that was adapted into a movie starring Brad Pitt and Edward Norton. On October 20, my sister and I attended Chuck Palahniuk’s Beautiful You book launch and got to hear some of his short stories. We’ve been long-time fans of his work, and it was thrilling to see him in person. Here are some photos that capture just a teensy fraction of the cacophony. Please note that there are event spoilers below, so if you plan to attend a future Beautiful You event, then don’t read on! 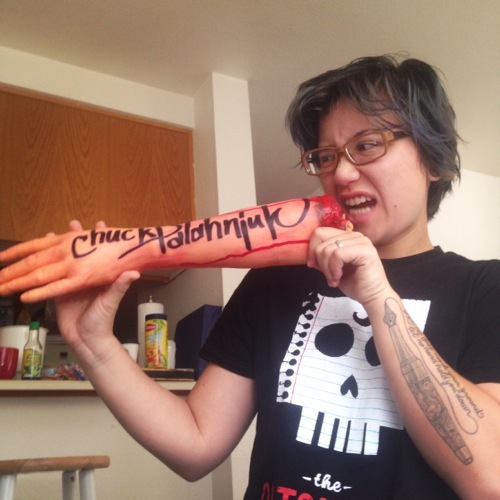 Chuck Palahniuk signed bloody appendages and tossed them into the crowd. Look who caught one! 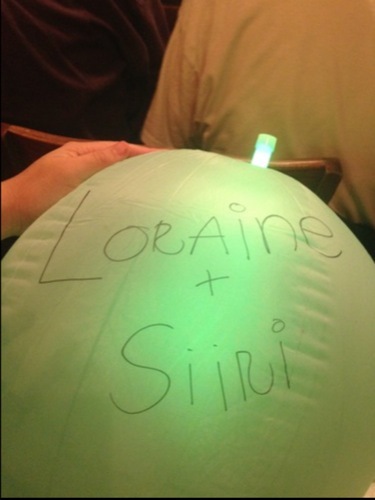 Upon arrival, the audience was instructed to inflate these beach balls, put glow sticks inside of them, and label them with our names. My sister has much better handwriting than me! The beach balls were used in one giant lottery for signed, leather-bound editions of Fight Club. 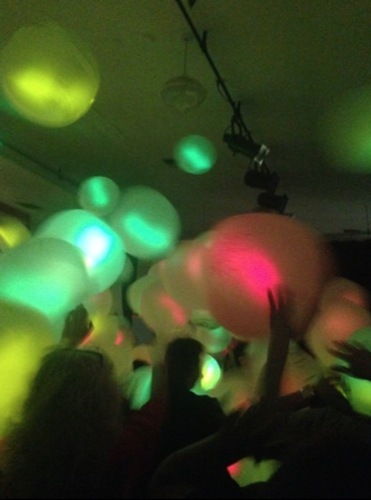 Third Place Books switched off the lights and the audience mixed the beach balls in an epic glowing dodge ball fight! Years ago (back when I was in high school? ), an informal writing group started on Chuck’s website to workshop fiction. These efforts have since grown into LitReactor, an organization dedicated to helping authors. 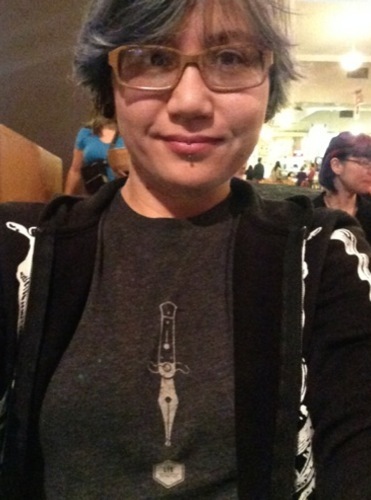 Here’s the LitReactor shirt I picked up from the AWP conference in Seattle. 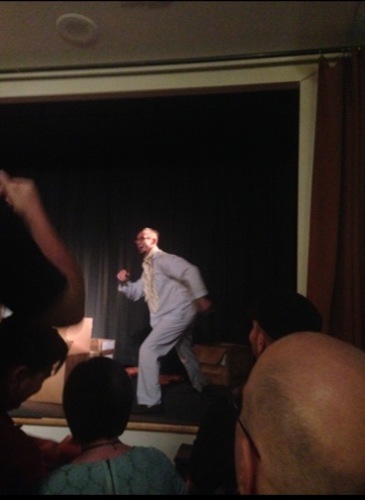 Chuck wore his pajamas on stage. Here he is, throwing giant bags of Halloween candy into the crowd. Everyone who attended the event left with a signed copy of Beautiful You!